Besides providing security and privacy, fences and gates add aesthetic appeal to the exterior of your home design. They can take a boring country style home plan and suddenly give it that extra special something that makes your yard stand out from the rest. With several fence and gate plans to choose from here at House Plans and More, we’re certain you’ll discover one that suits the architectural style of your existing home perfectly. 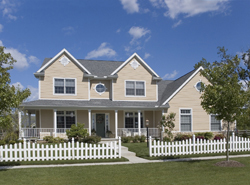 Our collection of fence and gate plans includes different styles so matching the look of your home will be effortless. We offer detailed drawings on how to build making it easy to get started right away. With a wide variety of designs, we are sure that you will find the perfect look to fit your style.